H: 77" W: 20" D: 18"
A handmade tattered boat recovered from the sea on a stormy winter day turns slowly (once every seventy seconds) within its house. Portunus is named after the Roman god associated with ports and harbors and the gateway to the sea. 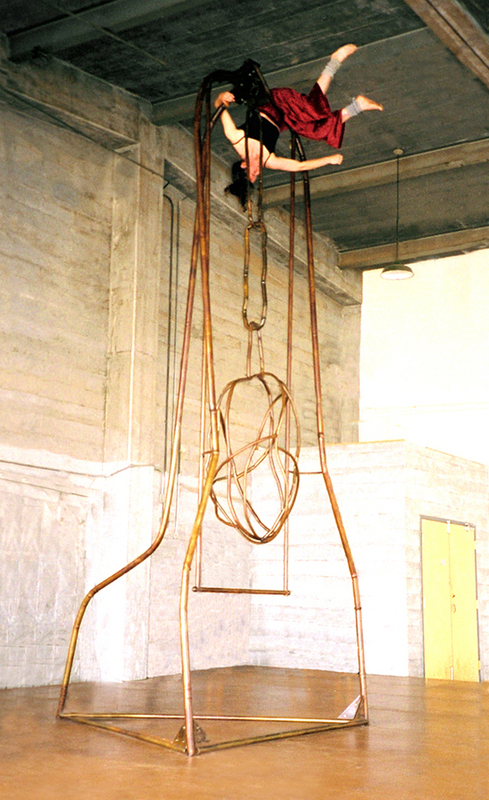 Bone House was the centerpiece for a performance featuring Jo’s elegant choreography and movement, as well as Jim Owen’s mesmerizing percussion, using the sculpture as his drum. H: 68" W: 49" D: 4"
A wall sculpture with free-form, three-dimensional forms reminiscent of ancient text.